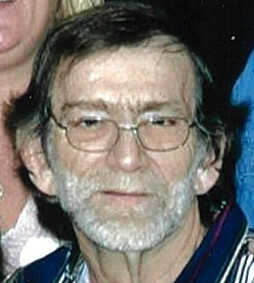 Garry Johnson, 66, of Milan passed away Thursday, April 11, 2019 at his home with family by his side. Garry was born Friday, January 23, 1953 in Milan, the son of Clifton “Doc” and Lovella (Watts) Johnson. He married Jean Hartman April 24, 1976 and she survives. Garry was a factory worker, enjoyed woodworking, spending time with family, especially his grandchildren and listening to music. Garry is survived by wife Jean; mother Lovella; son Grayson (Laura) Johnson; daughters Amy (Michael) Bedel all of Milan and Amanda Byrum (Blue) of Moores Hill; brothers: Leroy (Ann) Johnson of Milan, Eddie (Deborah) Johnson of Osgood, and Astor (Judy) Johnson of Aurora; sister Maxine (Harold) Parks of Batesville; 5 grandchildren and 1 great grandchild. He was preceded in death by his father and brother Belvis Johnson. A service celebrating his life will be held 12 PM Saturday, April 13, 2019 at Laws-Carr-Moore Funeral Home in Milan with Pastor Harris Long officiating. Burial will follow in New Craven Cemetery. Family and friends may gather to share and remember him 9 AM - 12 PM Saturday also at the funeral home. Memorials may be given in honor of Garry to the Milan Fire Department. Laws-Carr-Moore Funeral Home entrusted with arrangements, 707 S Main Street, Box 243, Milan, IN 47031, (812)654-2141. You may go to www.lawscarrmoore.com to leave an online condolence message for the family.